I have been looking for resources on how to evangelize unsaved Emerging/Emergents. I came across an excellent presentation of the plan of salvation, by Pastor Max Solbrekken. Although his message does not specifically address Emerging/Emergents, the principles are the same. Click here for the original source of this article. Note – there are various articles on Pastor Solbrekken’s website I don’t agree with doctrinally (specifically, regarding Pentecostalism – he is a continuationist, while I am a soft cessationist). However, I believe this plan of salvation is excellent. SALVATION – ARE YOU READY TO MEET GOD? The most important question I could ask you and the most important decision of your entire lifetime revolves around the spiritual welfare of your soul and its eternal destiny. There are preachers today who have soft-soaped the Gospel and watered down God’s word [sic] to please their listeners in order to keep their parishioners coming to church. They are afraid that if they preach the truth, as it is written, people will not like it and their offering plates will not bring in too much money. The Bible warns that this would be the case in the end time, of which we are now living. (2 Timothy 3:13) (2 Timothy 4:3-4). The Apostle Paul calls such preachers Food Preachers or Belly Preachers. (Romans 16:18) (Philippians 3:19) These men only preach to earn a living and not to win men and women to Jesus Christ. I’m going to be absolutely honest with you and tell you the complete truth as found in God’s Word concerning your soul, death, judgment, heaven, hell and eternity and the gift of salvation. Then I will also show you how you can be saved and forgiven by the precious blood of Jesus Christ. Many are asking this question today. They are wanting to know how to “make things right with Almighty God.” They realize somewhere along the way, they have lost sight of God – they have lost contact with the Eternal One – the Great Creator, God, who loved the world so much that He sent His Son to die for lost humanity. Multitudes today are groping in darkness – looking for a ray of light to point them to the Heavenly way – but alas, they search in vain, they stumble and fall in the shadows of sin, worry, fear, anxiety, loneliness, heartbreak, sickness and confusion. Many people have tried to live a better life, turn over a new leaf, rehabilitate themselves, only to find that their strength in the time of testing and temptation has failed and they are back where they started. So now, not only are they defeated, but they are also bewildered, perplexed and tormented, not knowing which way to turn. Dear Reader, perhaps you are one of these poor unfortunate souls. THEN LISTEN CAREFULLY, for I have good news for you. There is still balm in Gilead for your sin sick soul. There is still deliverance for the bound, victory for the defeated and peace for the troubled. There is still healing for the sick and salvation for the lost. THERE IS STILL HOPE FOR YOU. There is life for you. There is still forgiveness and happiness for you. LOOK TO JESUS, the author and finisher of your faith, (Hebrews 12:3). LOOK TO JESUS, the mighty conqueror (Revelation 1:17-18). LOOK TO JESUS, the Saviour of the World (Luke 2:11). Don’t look at your sinful condition, LOOK TO JESUS; don’t look at your hopelessness, frustration and bewilderment, LOOK TO JESUS. Don’t look at your sickness, grief and loneliness, LOOK TO JESUS. Don’t look at your friends of other Christians who have failed, but LOOK TO JESUS who never fails. There is only one way to be saved and that is through Jesus Christ, the Son of the Living God. Jesus said in (John 14:6), “I am the Way, the Truth and the Life, no man cometh unto the Father but by me.” Jesus said in (John 10:9), “I am the Door: by me if any man enter in, he shall be SAVED, and shall go in and out and find pasture.” THERE IS ONLY ONE WAY TO GO – that way is JESUS. There is only one door to God, and that door is Jesus. There is no other. 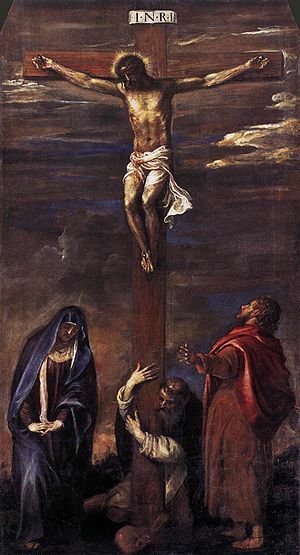 Mohammed, Buddha and the Roman Pope, a church organization – none of these will open the doors to the Kingdom of Heaven, but Jesus Christ, the one who came from heaven, who died on the Cross, rose again from the dead – He is able to forgive you, save you and bring you into the Kingdom of God. GLORY TO HIS NAME FOREVER. The Philippian jailer asked the same question many today are asking and he got an answer he was converted, his life was changed. He met the master, Jesus. You can do the same. There in the prison house he cried out (Acts 16:30), “Sirs, what must I do to be saved?” Paul answered, “Believe on the Lord Jesus Christ and be Saved.” He believed on Jesus Christ and was Saved. you can do the same. But you ask – how can I believe? What must I do to believe in Jesus Christ? Where do I start? I am glad you asked these questions, because I have the answer for you from God’s word – Here is what you must do to be saved. GOD HATES YOUR SINS – but God loves you. God wants to rescue you out of your sins. You must be willing to give yourself completely over to God and turn your back on all unrighteousness. #2 – YOU MUST CONFESS YOU SINS TO GOD – (1 John 1:9) “If we confess our sins (to God), He is faithful and just to forgive us our sins, and to cleanse us from all unrighteousness.” You must tell God you are a sinner and that you cannot save yourself. You must confess to God that no one else can save you except Jesus Christ. You must ask God to have mercy on you (Luke 18:13) and to forgive you. Then you must confess to God that you believe Jesus Christ is the Son of God, that Jesus Christ died on the Cross of Calvary for your sins, that He rose again from the dead and that He is able to save you (1 Corinthians 15:1-4) (Hebrews 7:25). #3 – YOU MUST ACCEPT JESUS CHRIST AS YOUR SAVIOUR – Tell God that you accept His pardon and that you now, through faith in God’s word accept Jesus Christ into your heart and life. (Ephesians 2:8-9) “For by grace are you saved through faith; and that not of yourselves: it is the gift of God: Not of works, lest any man should boast.” Salvation is absolutely free – you cannot work for it – you cannot pay for it – It is free – you just receive it from God. After you have prayed to God asking Him to forgive you – then you must believe He has heard your prayer and forgiven your sins. That is faith. You say that is hard to do. No – it isn’t. If you believe that God told the truth and the Bible is God’s word – God will do what He said He would do. If you have prayed the sinner’s prayer asking God to forgive you, (then he has forgiven you; His word tells you that and His word is the truth) and if you are forgiven, then you are saved. You must then continue to live in God’s way – you must live for God. 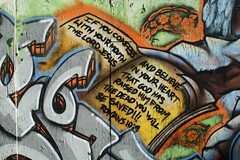 Believe that you are saved, begin to praise and worship God and thank him for saving your soul. But you have doubts and say, “I don’t feel any different.” You say you still feel the way you did before, you don’t feel like you are saved. Always remember, you are NOT SAVED by your feelings, you are saved by FAITH IN GOD’S WORD. If God said it – it is the truth, whether you feel like it or not. However, when you stand of God’s word and by faith accept the Salvation that God offers, you WILL FEEL DIFFERENT. You will believe before you feel – you will feel the cleansing, you will feel the forgiveness of God, you will feel the assurance when you believe God’s word and have confessed Jesus Christ as your Saviour (Romans 10:9-10). You will begin to feel peace, the peace that comes from knowing you are saved, that your sins have been forgiven and you will feel hope and optimism. The Word of God states (John 6:37), Jesus said, “Him that cometh unto Me, I will in no wise cast out.” You have come to Jesus by faith; He has not cast you out – Jesus has taken you in – you are SAVED. Praise God. Raise your hands to God (in complete obedience and surrender). Say “thank you, Jesus, for saving my soul.” Praise Him and Worship Him for what He has done for you. Seek the Lord (James 4:8) and ask Him to fill you with the holy Ghost and Fire. Ask God to give you power for service (Luke 3:16) (Acts 1:4) (Acts 1:8) (Acts 2:4) (Acts 2:38-39). Read your Bible every day and pray to the Lord Jesus Christ. As you go about your life, witness to people about Jesus Christ. Find a good church where the pastor and the congregation believe the whole Bible, where they believe in holiness of life and separation from the world. Find a church where they believe in prayer for the sick and where the pastor and congregation have a burden to see the lost saved and brought to Jesus Christ. May the Lord bless you and give you peace. Write me a letter if you have accepted the lord Jesus Christ as a result of reading this message.